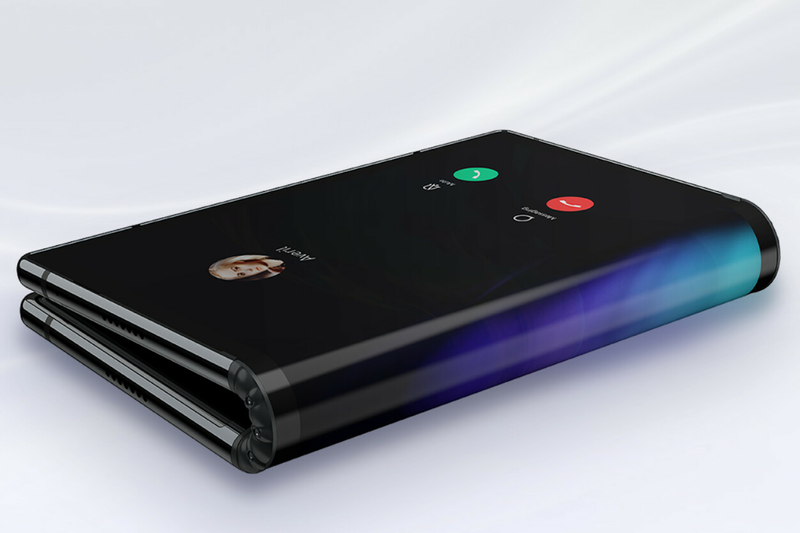 The world’s first foldable smartphone is here and, before you ask, no – the device isn’t made by Samsung or LG. In actual fact, it’s produced by a small California-based company and is called the Royole FlexPai. The brand itself describes the product as the “world’s first commercial foldable smartphone,” but in actual fact, it looks more like a tablet – when unfolded the screen measures 7.8-inches, although this does drop to just 4-inches when folded. The display itself is also produced by Royole and is of an AMOLED nature. The company has paired this with Android 9 Pie straight out of the box complete with its own UI, dubbed Water OS, on top. This custom overlay adapts according to how the device is being used – as soon as it’s folded in half, it switches to a smartphone-like UI. While the smartphone’s main focus is its display, the spec sheet is rather impressive too. Nowadays, most flagships that aren’t produced by Apple or Huawei come running Qualcomm’s Snapdragon 845. This model, however, takes things a step further by supposedly utilizing the next-generation Snapdragon 8150 that is yet to be officially unveiled by Qualcomm. The processor is then paired with 6GB of RAM and 128GB of storage in the base model, although those willing to spend a little extra can purchase a version with 8GB of RAM and either 256GB or 515GB of internal storage. In either case, the latter figure is expandable via microSDs of up to 256GB. Over in the camera department, a main 16-megapixel sensor can be found next to the display alongside a secondary 20-megapixel sensor that sports a telephoto lens. When unfolded, it can be used as a selfie camera, and when the hinge is in use it can be used as a rear camera. Speaking of the hinge, Royole claims it can be used over 200,000 times. The device’s setup is complete by a USB Type-C port – it lacks a 3.5mm headphone jack – and a 3,800mAh battery that can be charged with the included Ro-Charge fast charger. This allows the cell to go from 0% to 80% in just 30 minutes. Pre-orders for the product start today in China at a cost of $1,290, $1435, and $1865 for the respective models. 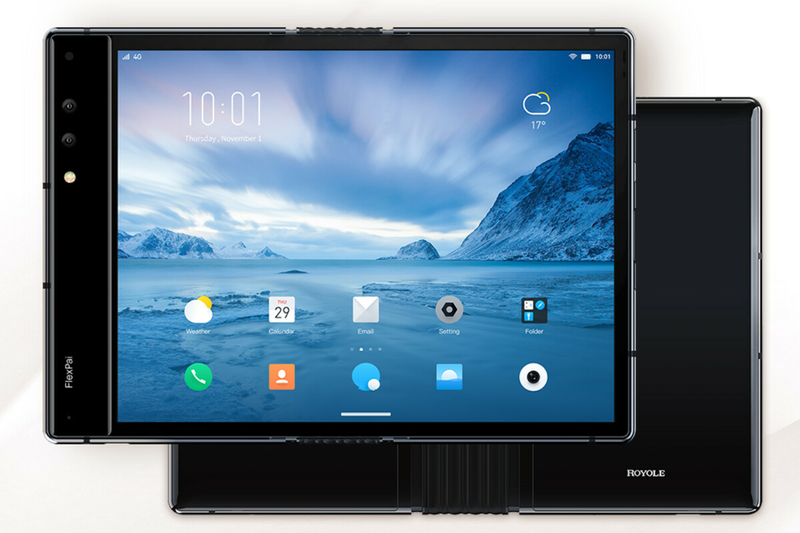 It’s unclear if or when Royole will bring this device to the United States, but shipments of the foldable smartphone are expected to begin in December. hey, who still compliant about their phone's thickness? show up!!! Exactly! It defeats the purpose of portability and sleekness. No thanks! I would rather try and carry an iPad Mini in my pocket than this. Oh lordy. These are the prices I can expect from bendable phones? Wait till you see Apples! So a California-based company may not ship to the US? Easier to scam people overseas than back home. They may be worried about having a 25% tariff put in their phone. I do not care how expensive these phones are: - I cannot afford them anyways. I just want to see new technology come out. - In 2 years after the first foldable phone. The prices will go down anyways. - This is the first interesting tech in a long long time. So tech lovers rejoice. Android phones will sell less and less anything north of $1000. Only Apple and few other vendors can charge this type of money. The first thing companies is establish with the customer is branding and support. Without this it will be difficult seeing the value of a $1000 Android phone. Every Android company is looking to one up by features or one by lowering price. That is only long lasting chance they have to compete. Thus dog eat dog. I wait on LG and Samsung with better design etc. This is what they are working on? Smh I don't need a folding phone. How about advancements in battery technology or security? This is just a useless gimmick. For a price like that, it better bend reality! LOL! You don't have to tell anyone. Everyone knew it long before. Video is so fake with "glassy" look on the plastic screen, actual fact is that the screen is a fingerprint magnet which can be very greasy when over use. I’ll Wait till apple produce one. It doesn’t look elegant. A device that unfolds from phone form factor to tablet form factor is my holy grail. But I don't think this one is it. Available in December and no live shots of the device for its advert? Naaaa. No, it's not here and this is probably the same s**t as Faraday future electric car, yes the one that never happened. It will ship with the new snapdragon which isn't even announced? Smells like the Turing phone, imaginary specs and flashy renders that never happened as well. I'm pretty sure that the first Sd 8150 is for Samsung S10. No one will release anything with this chip before March 2019. It would be interesting to see how a case can cover such phone, as there are a lot of surfaces which have to be covered, not only the back. They didn't even show the real working unit, just showing 3D render of it, probably just vaporware, and they didn't even sure what SoC they're using, their site just saying "FlexPai uses Qualcomm's next-gen Snapdragon 8 series SoC" 7.8inch screen and 3800mAh battery looks like a bad combination.